When a paranormal research team investigates a haunting inside a home on Port Island, a sparsely inhabited island off the Maine coast, they learn that it is eerily similar to the plot of a classic television show. 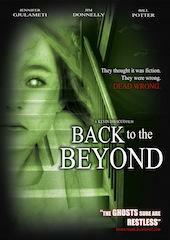 This Supernatural thriller opens with a gripping scene of terror. A group of amateur videographers attempt to capture a seemingly supernatural force within the remote island home. When the paranormal research team investigates the haunting, they discover the remains of the amateur videographers and proof of the legendary haunting captured on video. While one member of the team believes the haunting is only “made for TV” fiction, the investigation reveals an encounter with a sinister supernatural force, proving just how real it all is.